Great mountain views. Open floor plan over 1700 sq ft of living space. Rarely on the market, this 3 bedroom, 3 bathroom home features a large Southwest patio with mountain views. 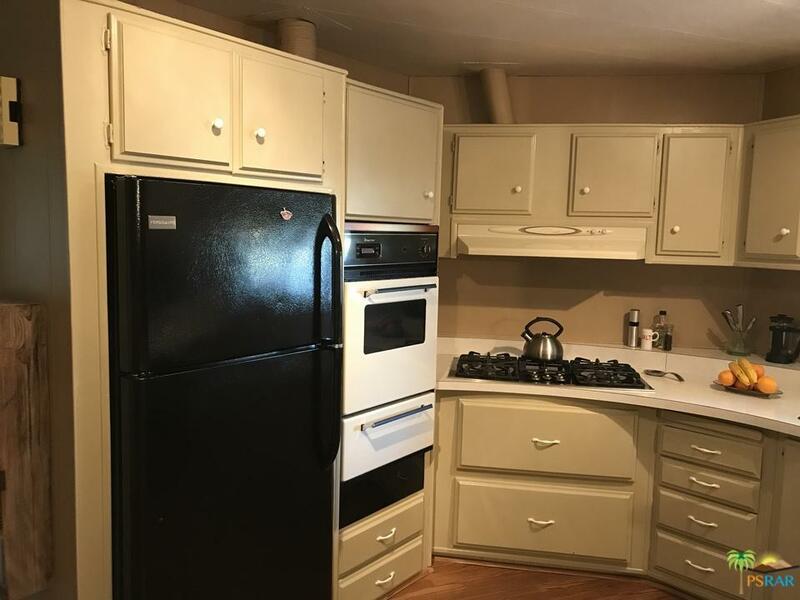 Kitchen has a 5 burner gas cook top, pantry, and is open to living, dining, and family rooms. Large living room windows let you enjoy the South mountain views. 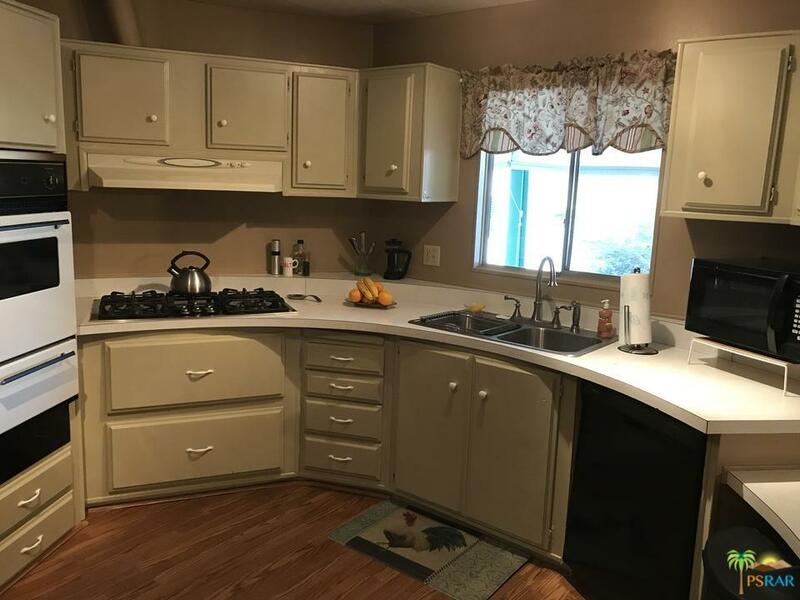 Large laundry room accommodate full see washer and dryer with a built in sink. 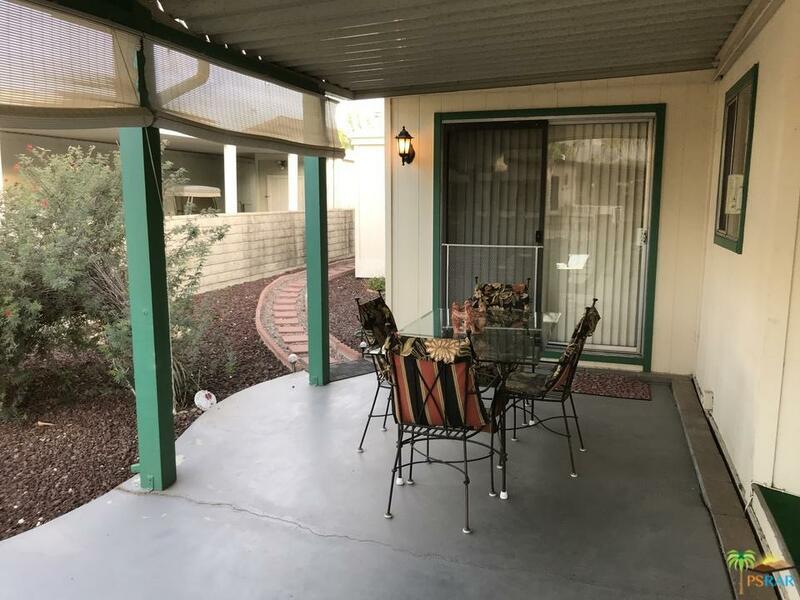 Low maintenance desert landscape, two car covered carport is large enough to include space for a golf cart. Newer AC, heater, and evaporative cooler. Park owns the land, space rent is $631 per month. Sold by Karen Theiler BRE#01895467 of Re/Max Real Estate Consultants. 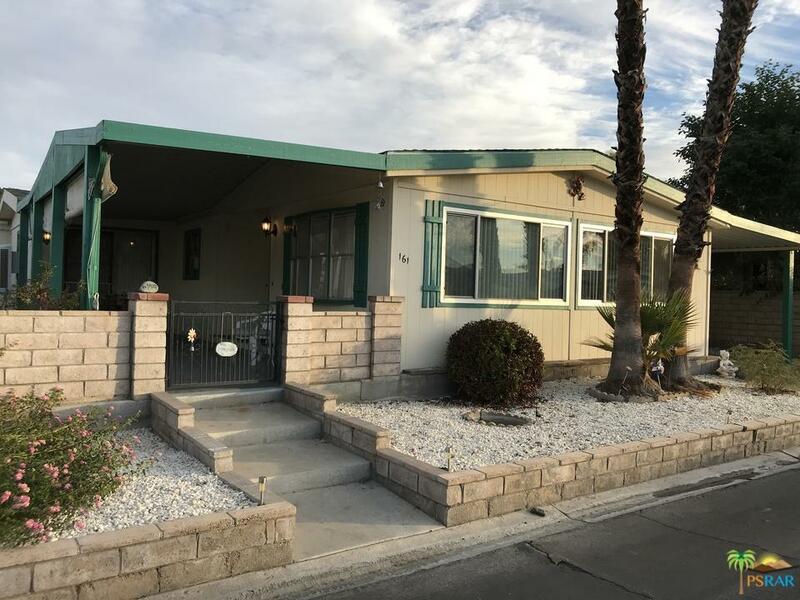 Listing provided courtesy of Karen Theiler DRE#01895467 of Re/Max Real Estate Consultants.